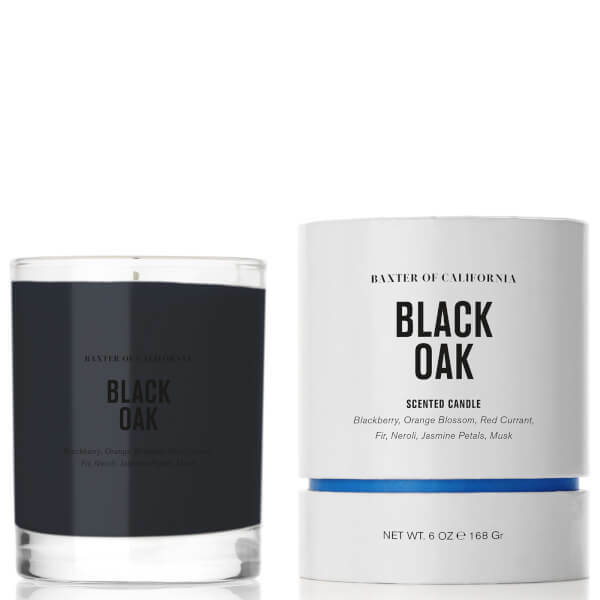 Invigorate the senses with the Baxter of California Black Oak Candle; a scented candle inspired by the seductive blend of darkness and mystery paired with sweet notes to evoke a harmonious balance of tranquillity, retreat and mindful balance. 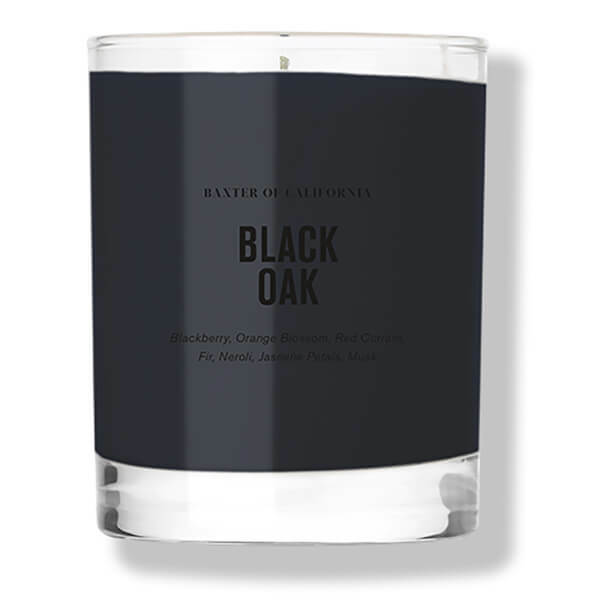 Crafted from coconut and soy wax for long-lasting, clean burning, the candle is infused an alluring olfactory experience, unleashing aromatic accords of Blackberry, Orange Blossom, Fir, Musk and Neroli. Burn only on a stable heat resistant surface. Keep from drafts. Do not burn candle when wax is less than a half-inch from the bottom. 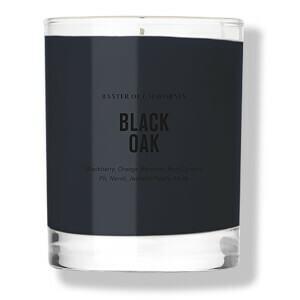 Do not touch or move candle while burning, or if wax is hot. Never leave candle burning unattended. Keep out of reach of children.